Everyone knows that money can't buy happiness. The promise of money is even worse. Especially for a small town designer with big dreams. Bertie Anderson is finding out anticipation only buys trouble. When the offer of $150,000 is dropped into her lap for designing one house, she dumps her dreams of leaving town and gets to work. If only she wasn't so distracted by her hubbalicious client. Why would an ex-pro tennis player move to tiny Harmony, NC? Keith Morgan is wondering the same thing. Sure, he needs a safe place to raise his daughter, away from the party lifestyle of his past. But does it have to be in a crazy, little town where everyone knows his business? What's worse is his aunt has given him an ultimatum: get married in three months or risk losing his little girl. Finding a woman is no problem. Parades of them show up at his house like the paparazzi. The problem is he only has eyes for Bertie, his quirky, curvy, maddening designer. And he couldn't marry her, because this go round he needs to play it safe...and Bertie is anything but safe! 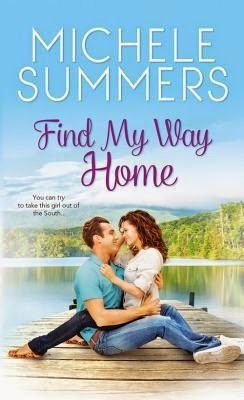 Michele Summers writes funny romances set in small Southern towns with sassy heroines, witty heroes and wacky, small-town characters, along with a satisfying happily ever after. 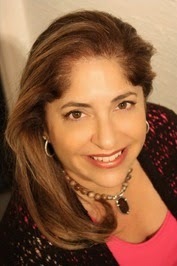 Michele started her fiction writing career after Hurricane Wilma hit Miami and she was without power for over a week. Bored to tears, she scrounged for a legal pad and pen, and with the help of a trusty flashlight, started writing. Thrilled to have found another creative outlet, she's been writing ever since, when she's not working as an interior designer, personal chef, playing tennis, or raising her two great kids. Presently,she resides in North Carolina where she grew up with her family, but she still misses sunny South Florida, swaying palm trees and wearing open-toed shoes...everyday! Right now, my garden grows pansy planted by my daughter, peonies, gardenia bushes and lots of herbs, especially rosemary. Nothing is blooming the way I’d like, but my lack of green thumb could be the problem. Havaianas…my all-time, most favorite thong (not underwear…flip-flops). Used to wear them every day when I lived in Miami. They come in great colors and really last. Time for a new pair, baby! Eggs. Yep, ever since I can remember. I’m talking fried eggs, over easy eggs, soft-boiled eggs, eggs benedict, green eggs and ham. Have always hated breakfast eggs. Something about the runny texture, smell, taste…ugh, I need to stop. My poor kids will never know an appreciation for eggs for breakfast. Thank you so much for hosting me! Your questions were fun and entertaining. WANT TO WIN THIS WONDERFUL BOOK? Thanks for hosting me today! Had fun answering your questions...especially about eggs. ;-))) Hope you enjoy reading Find My Way Home. And now it turns out the last thing I have googled is also Havaianas. I had to see what they were! Thanks for the giveaway! Give those Havaianas a try...they're awesome! ;-))) Good luck with the giveaway. Hope you get to read Find My Way Home. Thanks.